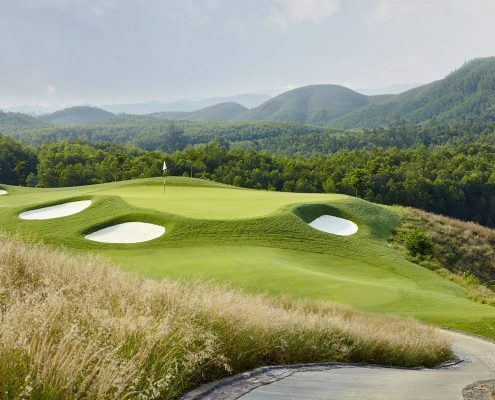 Reminiscent of both Scottish links and Carolina coastal golf, Australia’s Great White Shark Greg Norman has created arguably Vietnam’s best course at BRG Danang Golf Club. 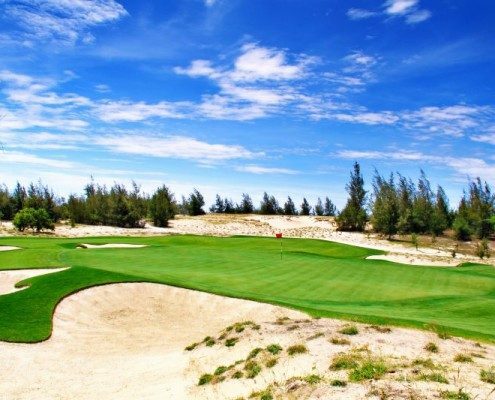 Built on sandy loam at Danang Beach, fairways are generous and there is restrained use of water. 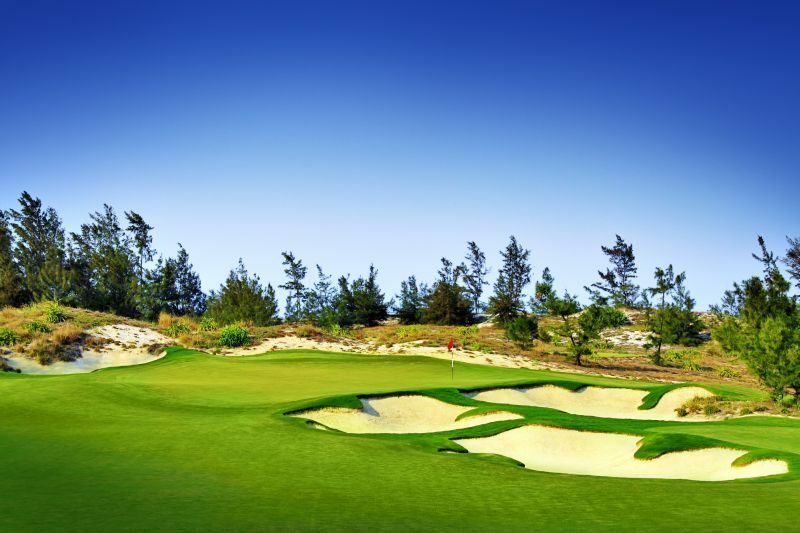 Shots must be carefully placed to give players a chance to go for the pins on the well-bunkered and undulating greens. 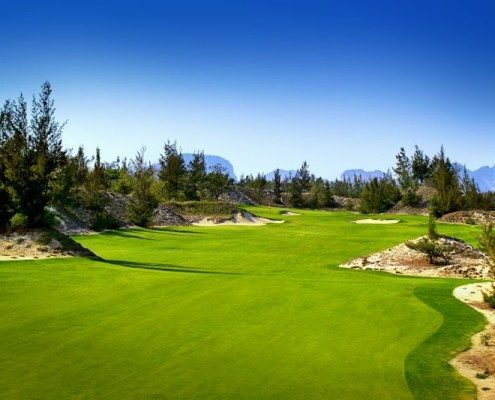 Miss off the fairway and you will be forced to punch off the sand and pine needles along a safe line just to get back into play. More so than other areas of Vietnam, the wind can be a major factor here on the central coast. 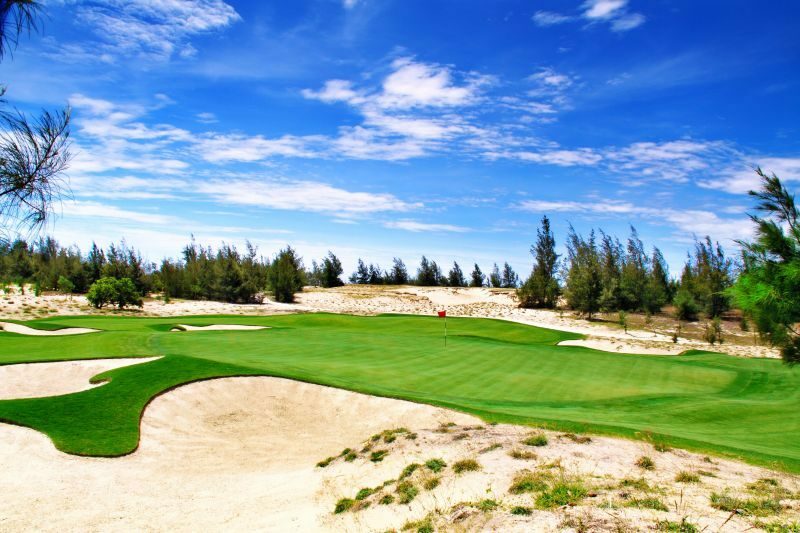 The truly magnificent Dunes course, designed by the ‘Shark’, Greg Norman, was winner of the Best New Course at the 2010 Asia Pacific Golf Summit. 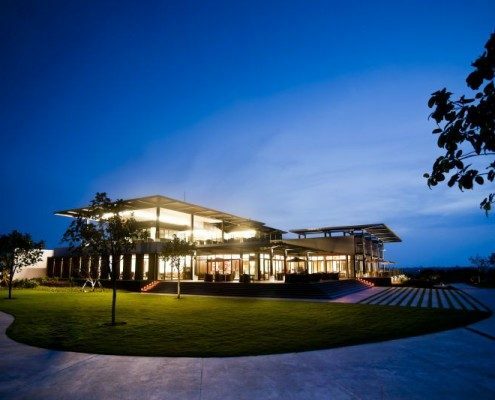 In 2010 Golf Magazine USA also called DGC one of the top 15 golf courses to open worldwide. 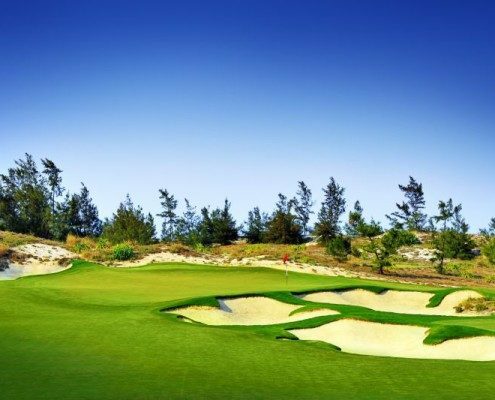 This breathtaking Dunes, 7176-yard par 72 course weaves its way through the Central Coast’s newest track of rugged sand dunes that meets a stretch of beach Forbes magazine voted as one of the world’s 10 most luxurious beaches. 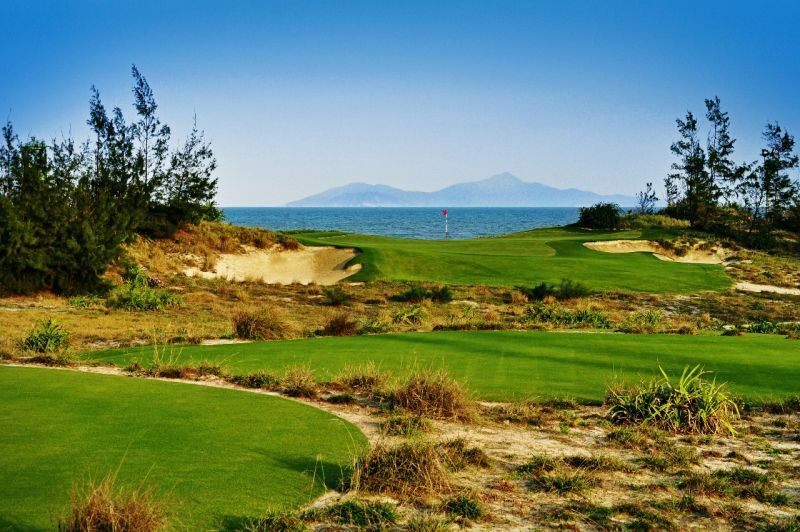 The course’s signature par-3 16th hole backs on to this famous beach with views of the Cham Islands in the distance. 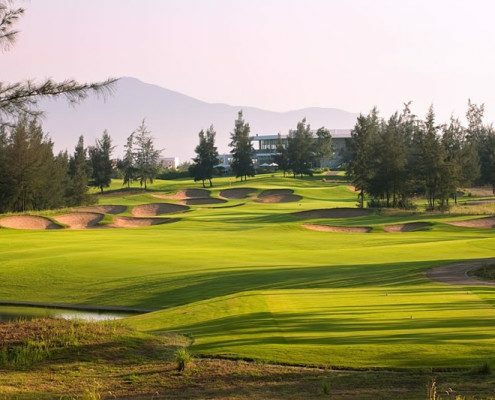 BRG Danang Golf Club is located 15 minutes south of Danang and is within easy reach of the ancient trading port of Hoi An, which for centuries possessed the largest harbour in Southeast Asia. 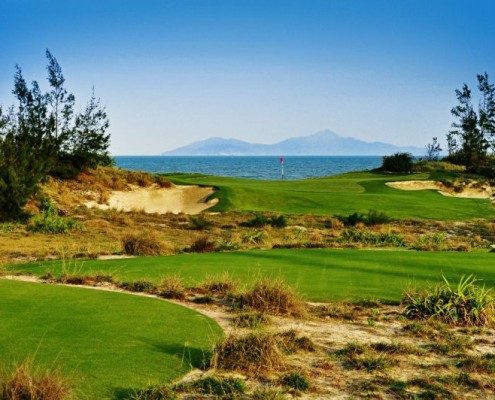 The course is also just 15 minutes from Danang’s International Airport. 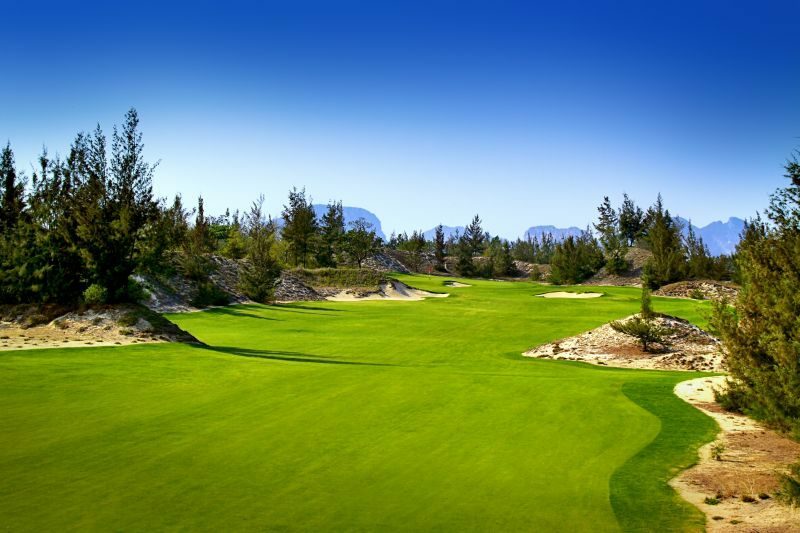 The club’s many amenities include a practice facility with a driving range facing the iconic Marble Mountains and an expansive one-level 3800-square-foot clubhouse that echoes the gently tiered contours of the dune topography on which it is set. 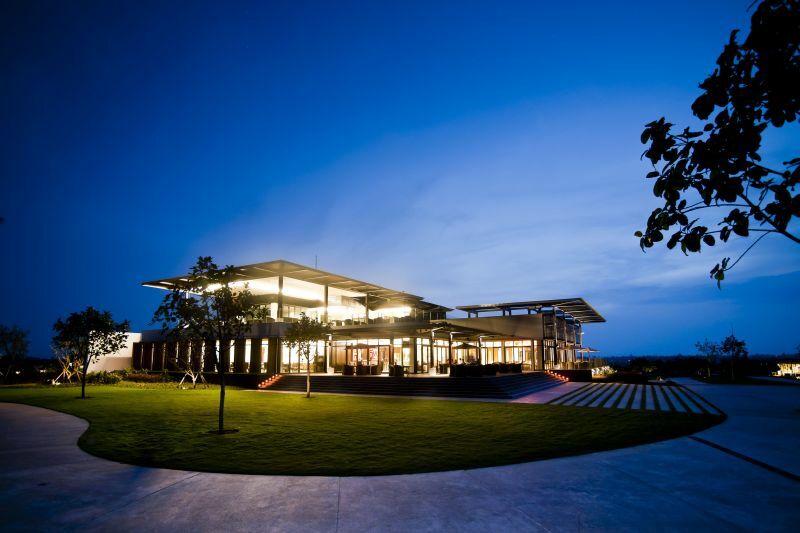 Visit BRG Danang Golf Club on Golfasian.com for more details.